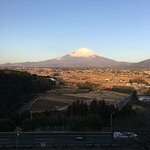 Really nice Fujiyama View from the hotel. They also have Onsen inside the hotel. 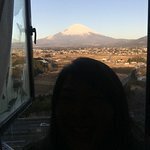 What i really love is Fujiyama view from my room. The buffet dinner is quite ok. But the panoramic view of Fuji is super. Get quick answers from Hotel Just One Fuji Oyama staff and past guests.